Yesterday late noon my flatmate brought this cute dish when I was editing pictures for my last post, Tea, my tea. 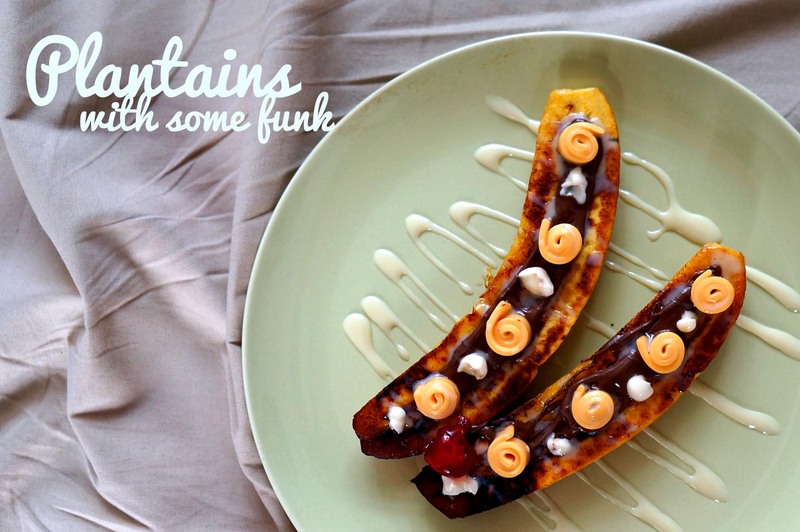 He transformed it onto ‘Plantains with some funk’. 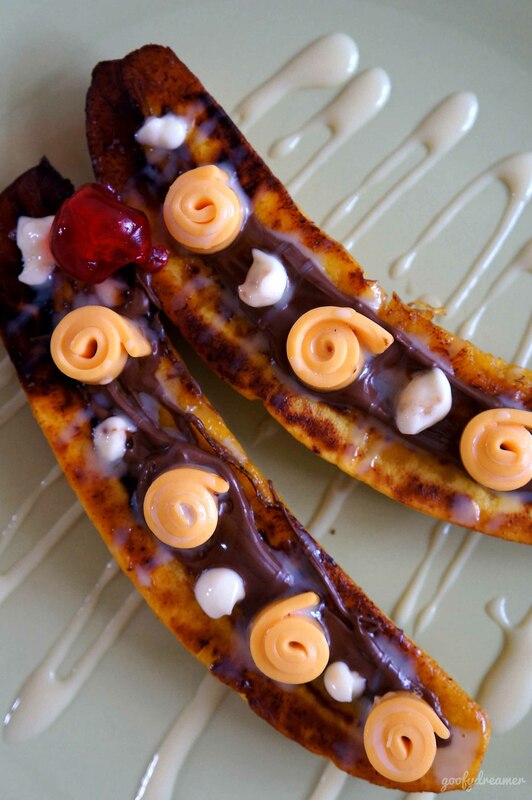 Just need a small creativity to tweak plantains to be a nicer dish. Lets start! *Plantains, pick a good one, do not use too-ripe one, it doesn’t work. Depending on how many do you need, he made for two. *Cheddar cheese, 2 slices for each plantains. *Garnish including Nutella, Condensed Milk, Mayo, and Cherry. Prepare your pan, heat it and make sure you have enough heat and start to put one tea spoon of butter, slice plantains into two before and grill on your pan. You just need to flip one time if you sure that your one side plantains become brownie. Do it until finish. 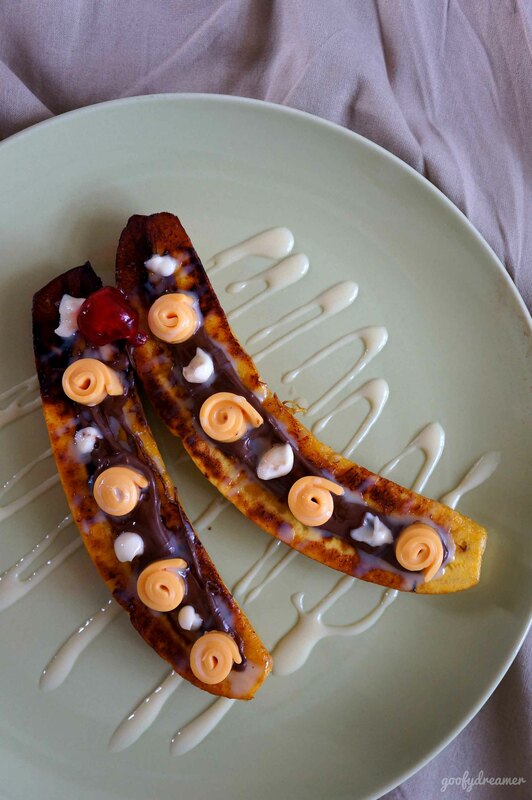 Then, pour condensed milk on your plate, create interesting line of milk, put your grilled plantains, spread nutella, mayo, and cheese. He cutted cheddar and rolled. Then put cherry to give more colors and tarra! Dessert time or tea time? Whatever, create your own fellas! Wanna see them closer? This is it! Plantains with some funk. Try your own! O yeah you can find him here.